Upper Falls - The southern-most waterfall, the Upper Falls is 70 feet tall and located below the train trestle near the Portageville main entrance. Middle Falls - The Middle Falls is 107 feet tall and located nearby the Upper Falls, and can be viewed from the Glen Iris Inn. This is the largest of the falls in the park, and the only one you can stand alongside to enjoy its beauty and power. Lower Falls - The Lower Falls is 70 feet tall and can be accessed by parking near the Lower Falls Restaurant and hiking south along the Trail 1 (Gorge Trail). Signage will direct you down stairs towards the falls. This falls can be viewed from the Stone Arch Bridge south of falls, or if you continue down Trail 1 (Gorge Trail) there is a viewing area overlooking the falls. Wolf Creek Falls - Located north of the Castile entrance and south of Tea Table Overlook, visitors can stand at the precipice of the falls and watch the waters of Wolf Creek cascade over the edge as it slithers 225 feet down into the gorge. The best view of the falls can be experienced by rafting the river with Adventure Calls Outfitters, where you’ll stop and enjoy the base of the falls. Inspiration Point – look down into the Gorge and see the Middle Falls, Upper Falls and the Train Trestle spanning the Genesee River. Archery Field – located immediately south of the Castile entrance, this incredible overlook of the Big Bend and the peninsula carved out by the Genesee River. 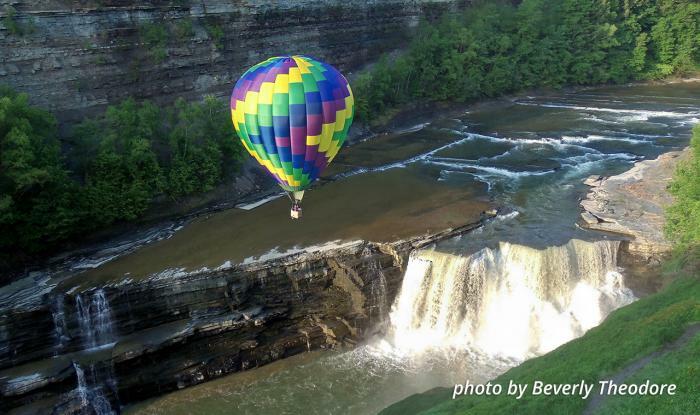 Great Bend – this overlooks one of the deepest section of the gorge and gives you a breathtaking view of the Great Bend in the Genesee River Gorge. Tea Table – located just north of Wolf Creek, this is the perfect picnic spot with tables, grills and a shelter with the Genesee River babbling hundreds of feet below! Wyoming County is home to a unique and exhilarating Geocaching Trail. There are 12 geocaches placed throughout Wyoming County, and to successfully complete the trail you need to find at least 10 of the 12 geocaches and write down the special code word inside each geocache container – because if you do – we will send you a free and collectible Wyoming County Geotrail wooden nickel! Geocaching is a family-friendly outdoor treasure hunting game using GPS-enabled devices. For more information on geocaching and the Wyoming County Geocaching Trail, visit our website or contact us at (585) 786-0307. There are 66 miles of hiking trails in Letchworth in all areas of the park. The longest continuous trail in Letchworth is the 24-mile long Finger Lakes Trail, running the entire east side of the park from Portageville to Mt. Morris. One of the most popular trails in the park is the Gorge Trail. This 7-mile long trail starts at the train trestle near the Portageville entrance and runs along the gorge passing by the Upper, Middle, Lower and Wolf Creek Falls, as well as Inspiration Point, Archery, Big Bend and Tea Table overlooks. For a map of all the hiking, biking, horseback riding, skiing and snowmobile trails in Letchworth, visit the NYS park website or call the park itself for more information at (585) 493-3600. 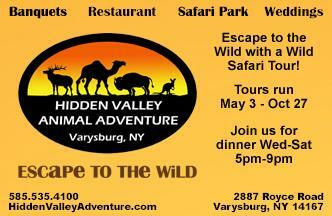 To book your ride, visit their website or call (585) 493-3340. 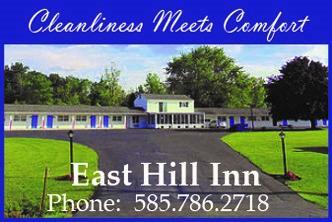 To book your trip, visit their website or call (888) 270-2410.